Truck u.s. Bad brakes and steering. Arranged to have repaired by Finmark Vejväsen. Appear to have been so many attacks on "Tirpitz", that dates are confused. Talked to local secret service agent. Had wireless in church. Dates slightly clarified. Talked to local grave digger. Mad. Arranged with local engineer for Bulldozer on Monday, for crash at Bossecop. Decide to exhume on Monday "Unknowns". Try and arrange German labour party. No luck. Exhumations cancelled. 14.00hrs to Kviby. Aircraft crash out to sea. No trace of pilot. Return and have a puncture. Wheel changed. 20.00hrs to Melsvik. Another mountain. Identified as Barracuda. Then to Kaafjord. Post Office report dinghy in lake. Raining heavily. Get location. Rain stops. Start climbing. Meet Lapps and buy reindeer skin. Wonderful view. Get to lake. No trace of dinghy. However, bits of wooden aircraft found. Numerous mosquitoes. Get back 16.00hrs and drive to Alta. BROOKS arrives back, very wet, and very tired. Had to wade a river. Pretty abortive day, but Fenrik Skaale appears in Stork with our mail. Lensman tells us to move! Chief of Police Tromsoe wants our room. Decide to go. Lunch at Salvation Army on the way. Usual fish, followed by fish soup. Stop at Lensman at Talvik. 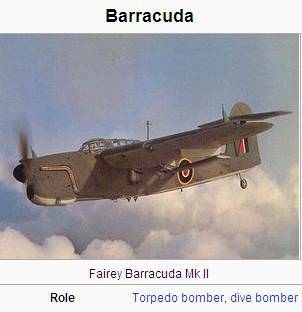 Get names of Barracuda crew. BROOKS leading in his truck. 18.00hrs BROOKS stops me. Crash reported up in mountain. With youth as guide, drive part of way and then start walking. After 2 ½ hours walk can only find a long range tank. No aircraft at all. Meet three Lapps. Must be a Lapp camp near. Can hear Lapp dogs howling. Big end goes on BROOKS’ truck. Unroll sleeping bag in open and sleep 01.30hrs. Start towing 10.00hrs, very heavy going. Have to climb a hill on first for five miles. My truck gets another petrol stoppage. Top of mountain passed 2,000 feet. Big electrical storm. Clean our petrol pump. Car goes and continue towing. 16.00hrs stop and brew up. Tea and biscuits. Get to ferry Lyngen 18.00hrs. Next ferry following day. Very weary. Have towed over 100 miles. Ring Colonel Hunstad at Settermoen re getting three Tonner to tow BROOKS in morning. Sleep late. Miss breakfast, but cook it on ferry. Arrive other side Fjord 12.30hrs, continue towing. Lovely day. Can see down mountain valley to Sweden. 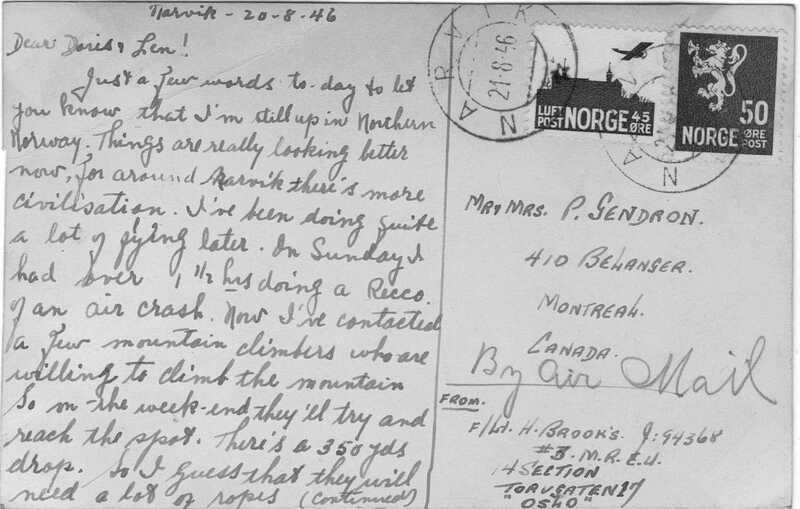 Leave BROOKS and press on to Tromsoe. Stop and brew up. Pick blueberries. Think of possible white sheets in hotel. Arrive Tromsoe ferry 17.00hrs. Hotel full up. Go to Norwegian Airforce at Sketterŏ. Get room, fix up camp bed, do washing. Hear from Captain Mathiesen that Catalina leaving for Spitsbergen in the morning. See Captain, Lieutenant Frisch, and get fixed up. 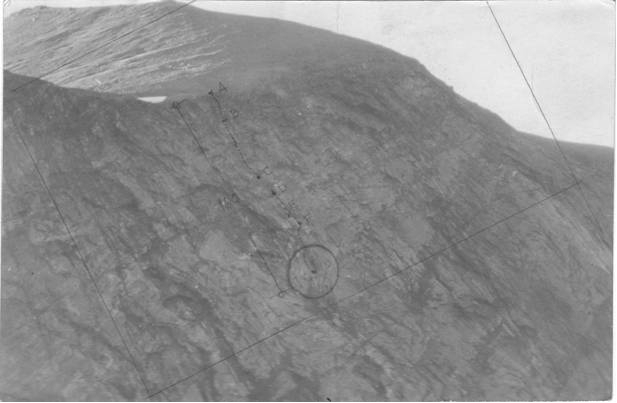 PHOTO COPY of original map used by Rideal/Brooks showing their nominal route (in red) for the ALTA (upper right) to LYNGEN to TROMSO (upper left) M.R.E.S. Northern Norway Search Sweep. As well the location of bodies/wreckage found are identified on the map. Airborne 04.00hrs. Very cold. Flying 8,000 feet. 08.00hrs can see mountain at distance. Lots of ice and seals. Big breakfast. Pretty bleak place. Information on Merchant Seaman, buried Cape Linné. Afternoon sleep. Big supper in the evening. Karva and real Scotch whisky! Outside of Longyear City (Svalbard). Meet two Englishmen, building crane and go into coal mine. Afternoon walk ten miles to J.U.88 which had landed up the valley. Evening have a real steam bath. Evening a big farewell party for Director Reksten, returning tomorrow. Collect vast mail for delivery to Tromsoe. Pay my compliments to the Governor. Airborne 14.00hrs. Pilot, Captain Garstad. Aircraft very full. Norway sighted 18.00 hrs. Land Tromsoe 18.30hrs. After a meal drive various passengers into town. See British Consul and 83 G.R.U. Arrange boat for Wednesday with navy. 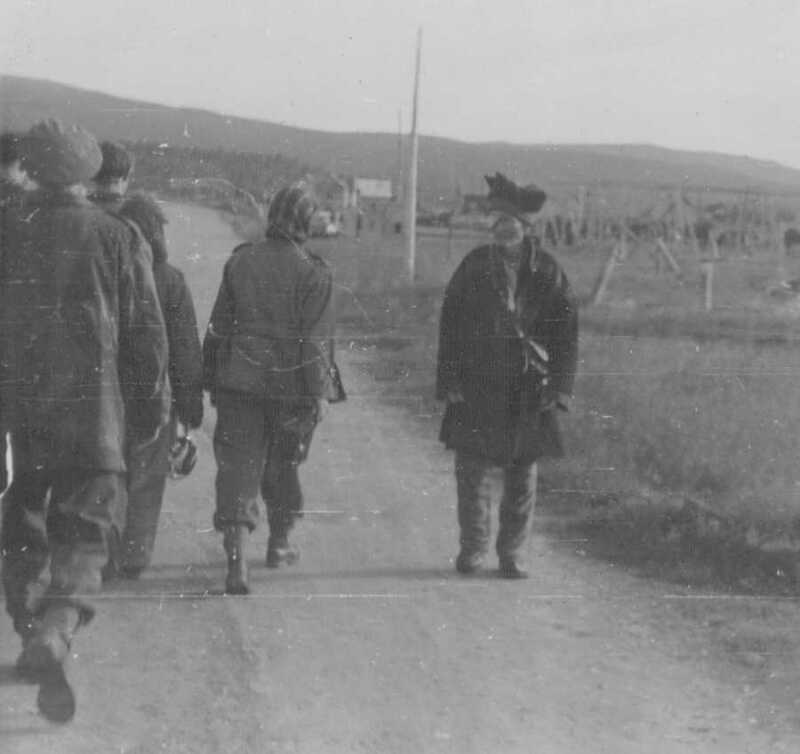 Afternoon see Police Chief and cross Fjord to interrogate local Quislings in prison. Sent signal to Admiralty re name obtained. Confirmed boat fixed for tonight 23.59hrs. 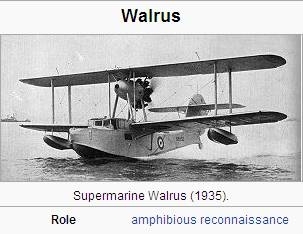 Saw Police again and also Counsel re Walrus crash 1940. Afternoon saw editor of local paper, obtained information. 23.00 hrs boarded K.P.K 6535, sailed Torsken midnight. The Lensman away but Deputy helpful. Two Gladiators and one Swordfish. Only one casualty. 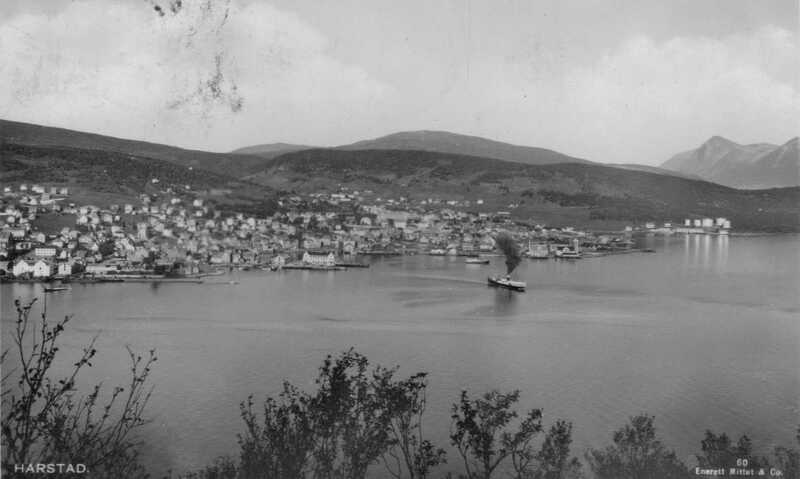 Then to Grillefjord. Little information. 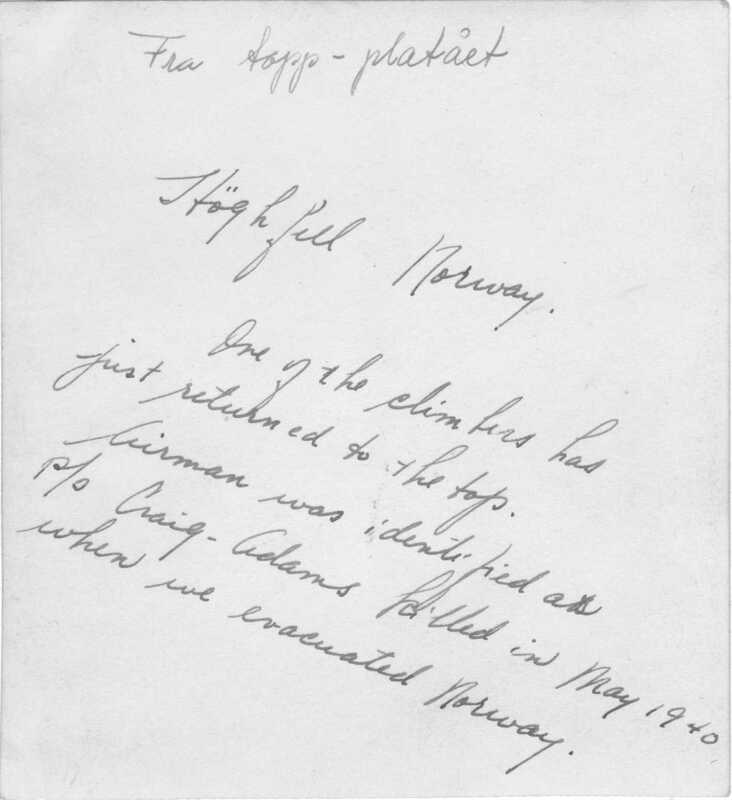 Then North to Hillesö, re crash in 1942. Present Lensman knows nothing but locate late (previous) Lensman. Obtain location of crash at Buvik. Appears to be a Swordfish. One of crew made P.o.W. Cross Fjord to Rödebergshafn. Arrive 22.30 hrs. Eventually locate someone who remembers the name of the casualty. We know buried at Harvik. Case clear. Arrived Tromsoe at 04.00 hrs. Collect truck from town and drive to Skatterö. Fill truck with petrol and rations and return to town. Check with G.R.U. and have lunch. Truck giving trouble. Repaired by Major Wells’ mechanic. 14.00hrs set course Mallangen. Eventually car packs up. Telephone Settermoen 17.00hrs. They will try and send someone to us. Brew up. Visit Lensman at Tessnes. No crashes reported. Still no relief vehicle. Locate very fine barn for night. Sleep 21.00hrs. Sleep till 10:30 hrs. Breakfast. Still no car. Find truck who gives us a tow. Car starts miraculously!! Keep driving and ultimately get to local German ammunition camp. Drive in and get Germans to repair. Then to Solya, German N.O. camp. Arrive Bardufoss 17.30hrs to collect mail and see Colonel Reistad. Arrive ferry 21.20. Telephone BROOKS to fix room in hotel and arrive Narvik 23.15hrs. Big discussion and conference. Also bath and laundry. Erect camp bed. BROOKS and I see Lieutenant Herbert, G.R.U. 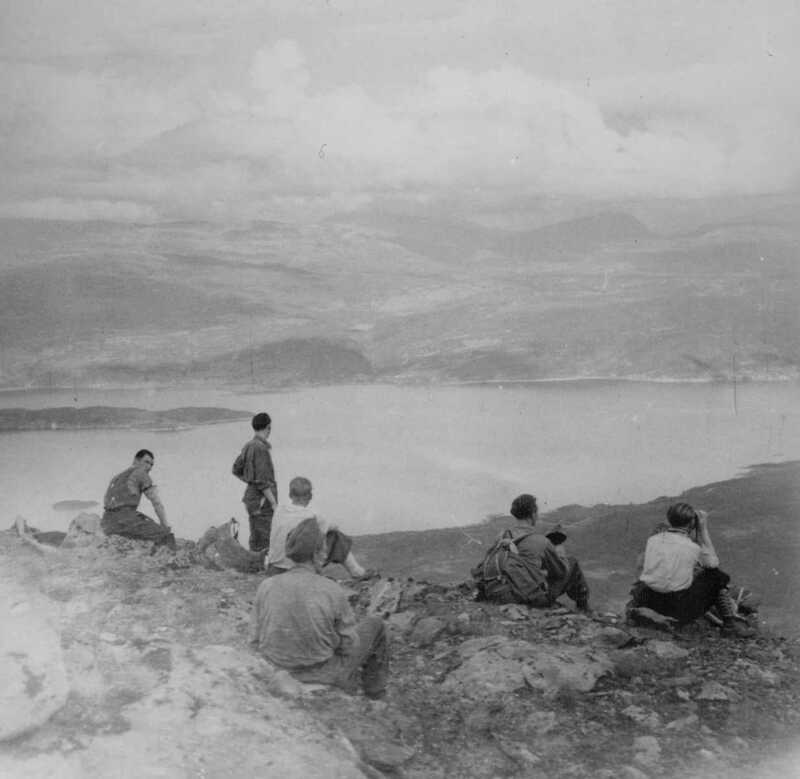 We arrange exhumations of all Unknowns Narvik Cemetery. Will use boat to go to Löddingen tomorrow. Sail 23.59 hrs. Write reports and send signals. Löddingen at 08.00hrs. Lensman away but obtain location of two crashes. Arrange for G.R.U. to exhume in local cemetery while I go to crash No.1. Borrow car and drive part of way. Then walk for one hour. Very little left. 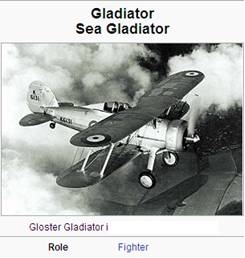 Gladiator aircraft. Return to cemetery. Exhumations continue. 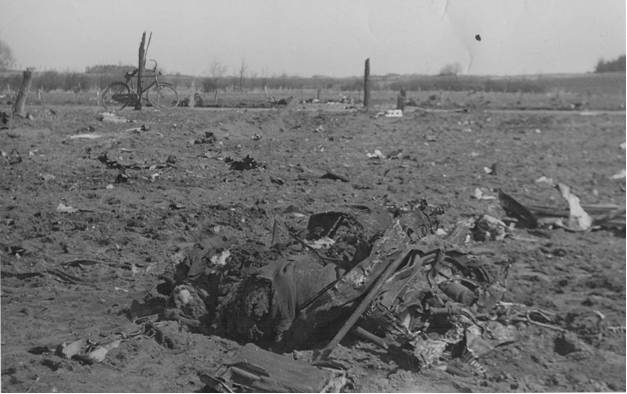 Both airmen identified by discs. Leave for Harstad. Ferry 09.00hrs. Meet BROOKS on ferry, going to Bardufoss for flying recce. Pay accounts and adjutant in afternoon. D.K.N. in morning. Bills paid. Arrange boat to Dvergberg for 15.00 hrs. Investigate Reindeer case with local Lensman. Appears to be only long range tanks again. 14.00hrs set course for Dvergberg and arrive 21.00hrs. Local Lensman organize his car. Drive to the other side of island. Island quite flat. Most extraordinary. Aircraft probably Avenger, but removed by Germans. Crew taken prisoner. No names available. Arrive Harstad 04.00hrs. Walk back to billet and heave a stone. Ultimately let in by Lloyd. Decide to sail for Bodö on Thursday. 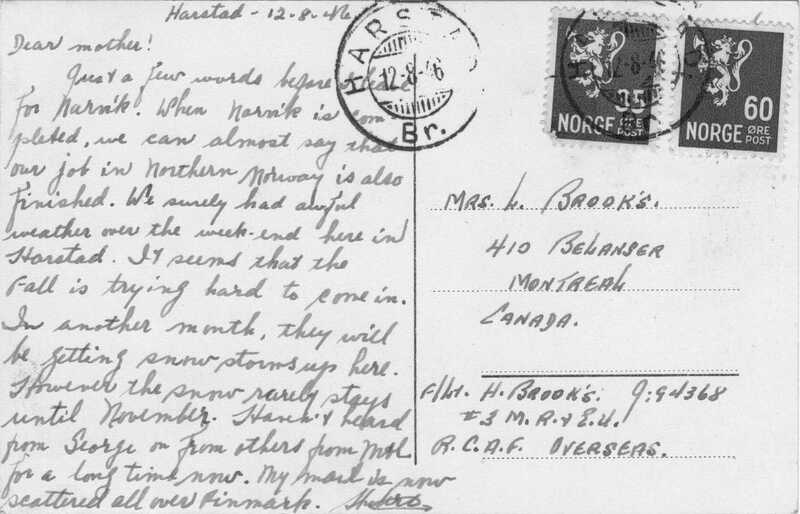 Talk to BROOKS at Narvik. He’s delayed, requires mountaineers (for Brooks’ Höghfjell operation). 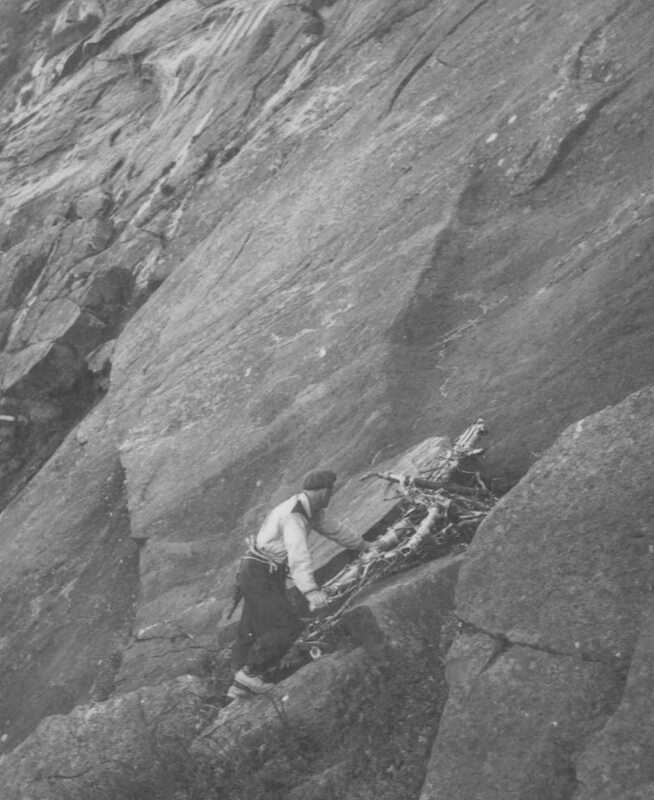 The following set of photos illustrates an EXAMPLE of a aircrew/aircraft recovery on the side of a mountain at Höghfjell, Norway. 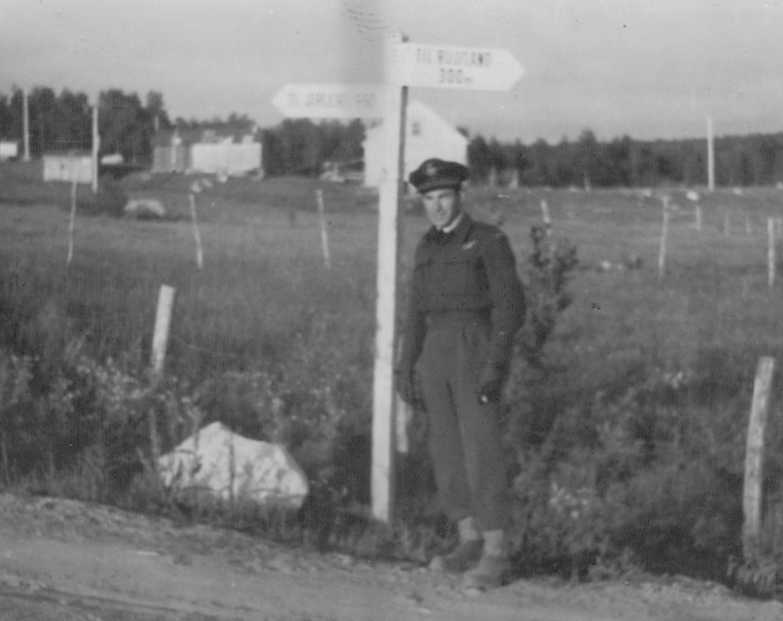 The airman was identified as P/O Michael Alexander Craig-Adams who crashed into the mountains in May 1940 when the Allies evacuated Norway. Regiment/Service: Royal Air Force 263 Sqdn. Grave Reference: XI. K. 6. Additional Information: Son of Robert and Phyllis M. Craig-Adams, of Epsom, Surrey. 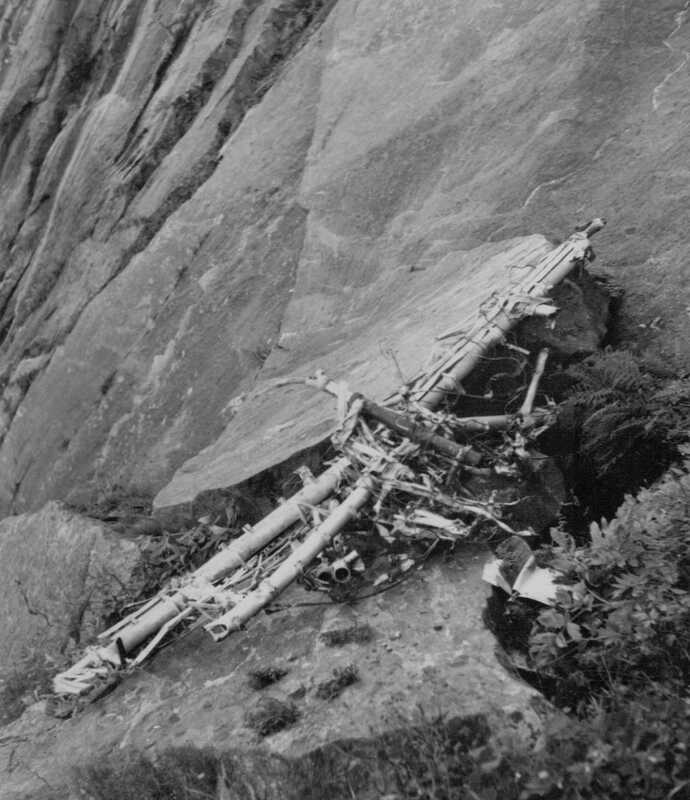 Editor's Note: The Kjell Sørensen Web Site Page has a present day look at this crash site. Speak to Lensman at Samsö. 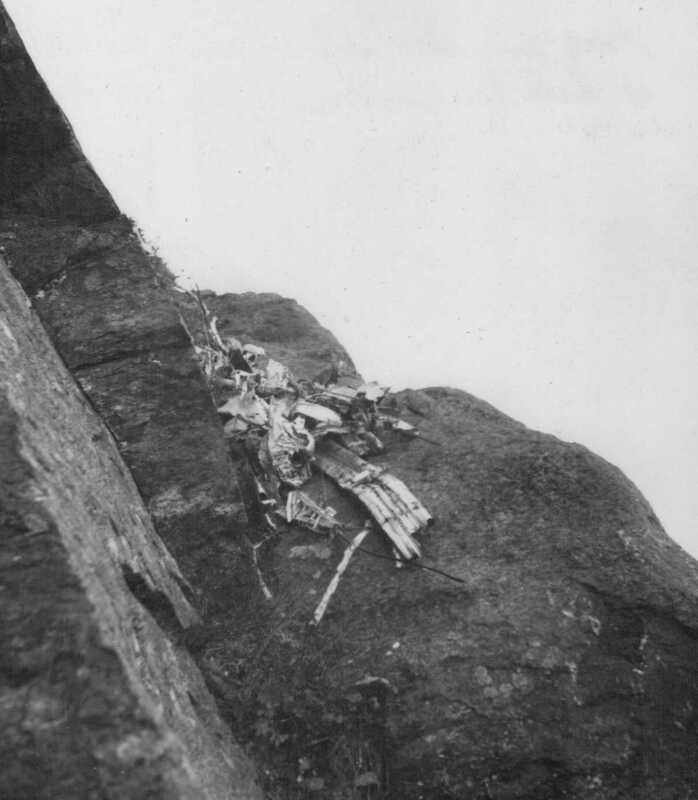 Aircraft crashed 1940. All crew safe. Arrange payment for interpreters and get haircut. Pack and generally clear up. Hand in 15 cwt truck and get receipt. Boat arrives 20.00hrs. Very old. Sail 22.00hrs. Sleep on deck. Music by babies! Food bad. Arrive Svolvaer, Lofoten. Chief of Police: only one airman buried here. Case cleared. Arrive Bodö at 21.00hrs. No accommodation. Ring airfield and get fixed up. Send signal to Oslo re arrival. See Chief of Police. 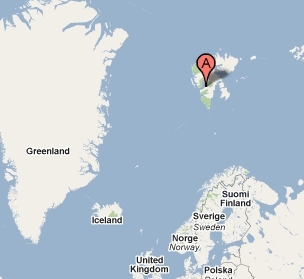 Crashes south of Bodö, reports will be forwarded. Afternoon see local clergy, visit cemetery. Ship will be late. E.T.A. now 04.00hrs. Sleep in chair Grand Hotel. Ragnhild Jarl arrives 04.30 hrs. Big fight to get aboard. State claim in writing room. Welcomed by White Russian with Nansen passport and bottle of Karva. Unroll sleeping bag and sleep. Slept most of day. Put kit on truck for station. Walk. See R.T.O. and arrange sleeper for Oslo. Ring L.K.T. and adjutant collects. 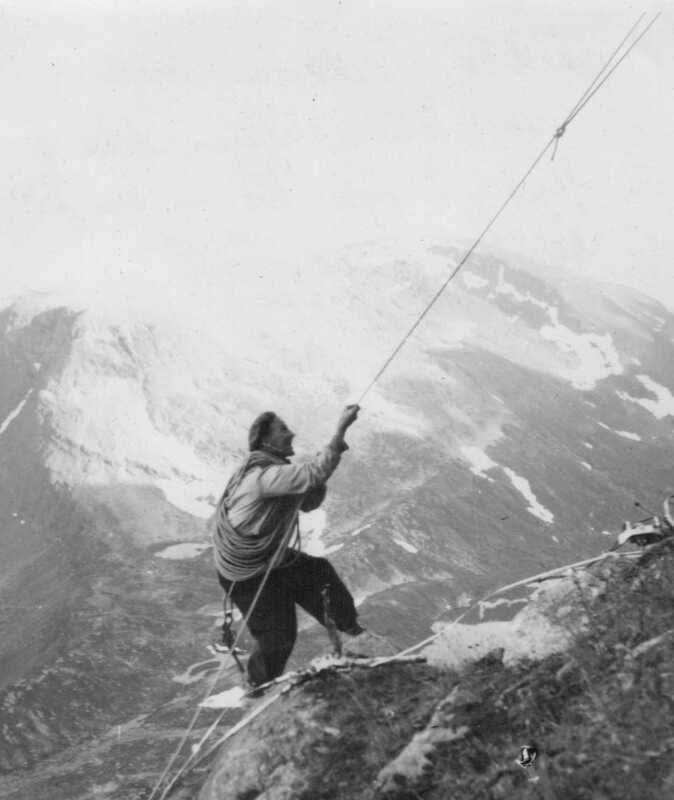 Get bills paid and arrange for interpreter to fly back to Tromsoe. Meal and bath at Phoenix Hotel. Big steak. 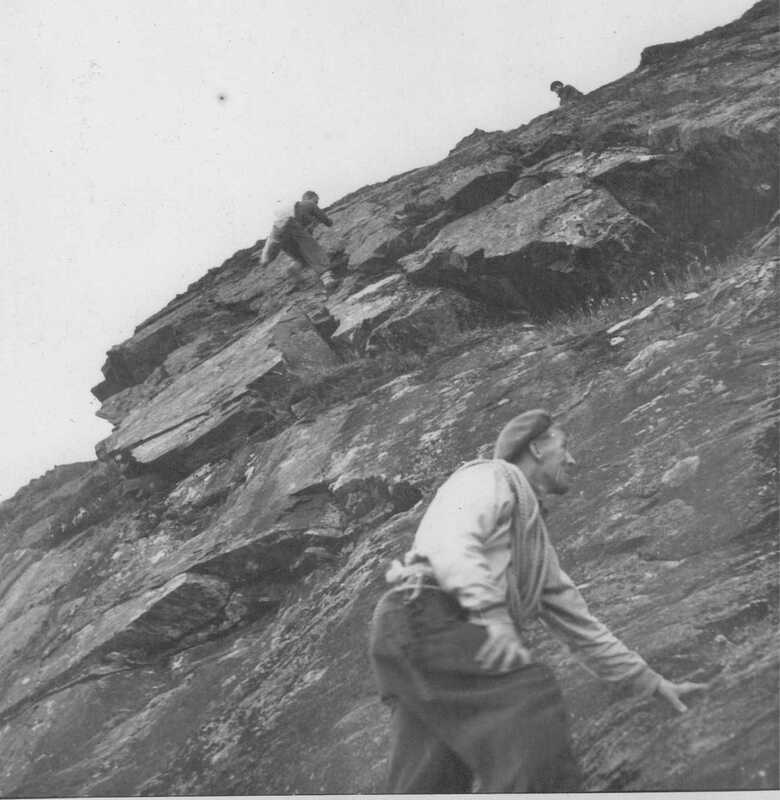 27–8–46: S/L Rideal returned to Oslo and thus the expedition to Northern Norway completed its work. 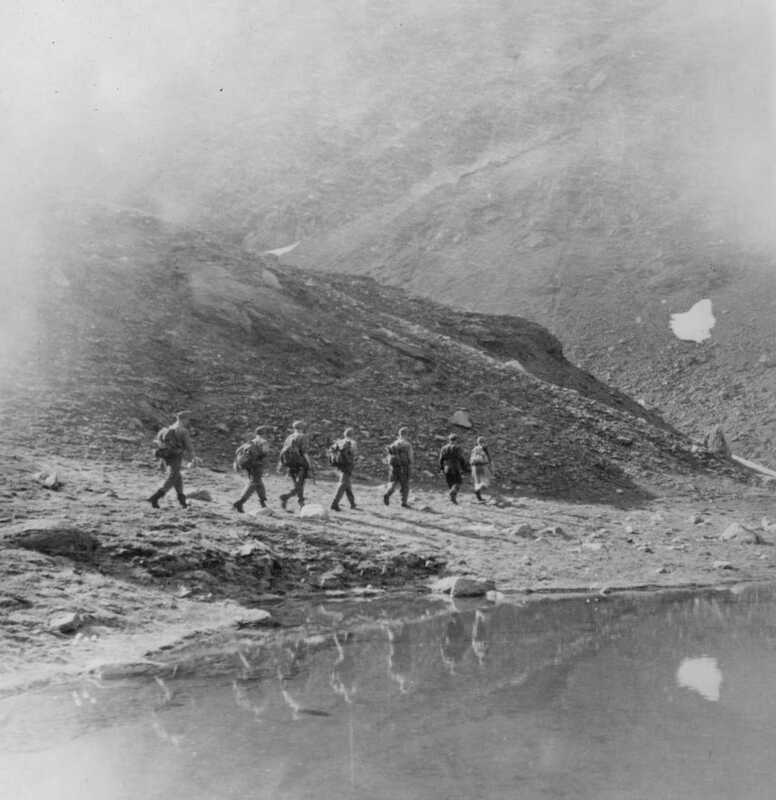 The manner in which the 2 officers overcame the difficulties of the terrain and covered the great distances to be travelled without reasonable transport is worthy of high praise. 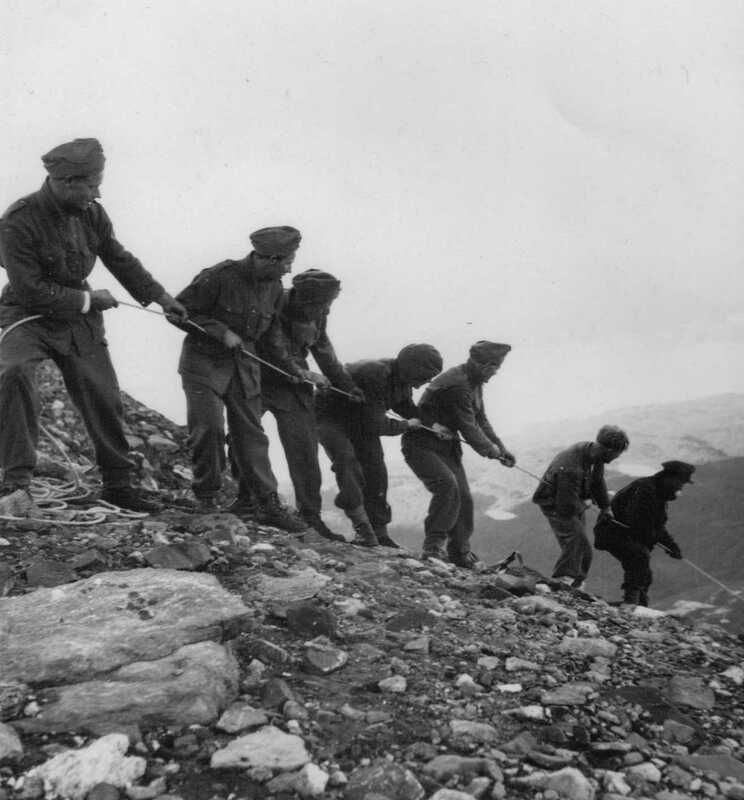 They had not only to carry out searches which involved great physical endurance, but also had to organize their transport, food and sleeping accommodation without any of the facilities normally available to Royal Air Force Officers when travelling. To cover the area of Norway extending from Trondheim to the extreme north of Finmark in the space of two months or rather less than two months is an achievement of which they and our Unit can be proud. 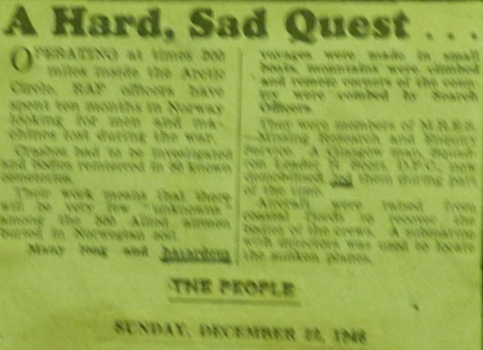 Several years later THE PEOPLE newspaper ran a brief story on Operation Polesearch . 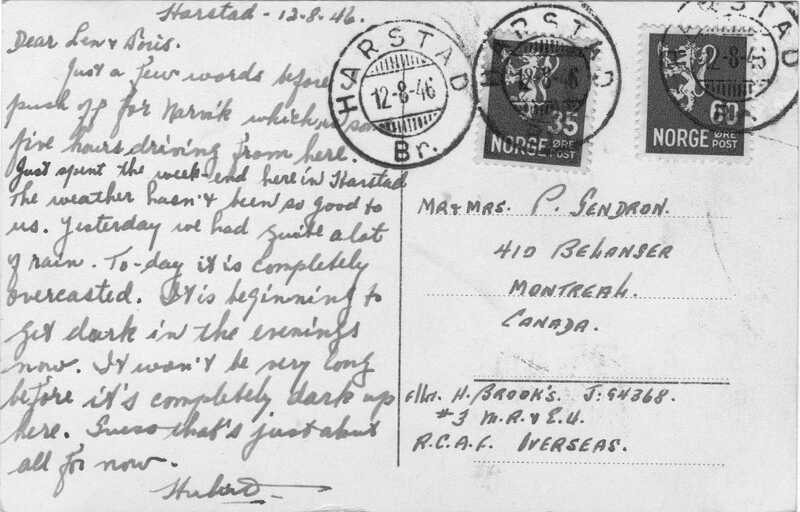 On 28–Aug–1946 Chick had a private meeting with G/C Hawkins, Commanding Officer M.R.E.S. (N.W. Europe), who offered effusive praise of our work. I had stayed behind in Narvik wrapping up some expedition work. 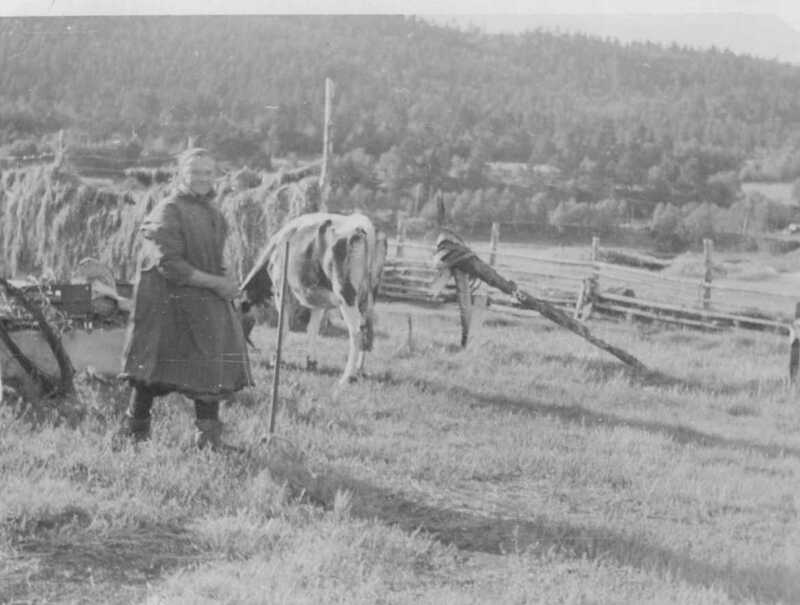 I returned to Oslo 7th September after having completed my work by following a trail into Trondhjem. Two days later, on Monday the 9th, I went to the Air Ministry (P.4.cas) in London to collect all information held on Norway casualty enquiries and do some closure on some outstanding cases. I stayed in London till approximately September 19th. 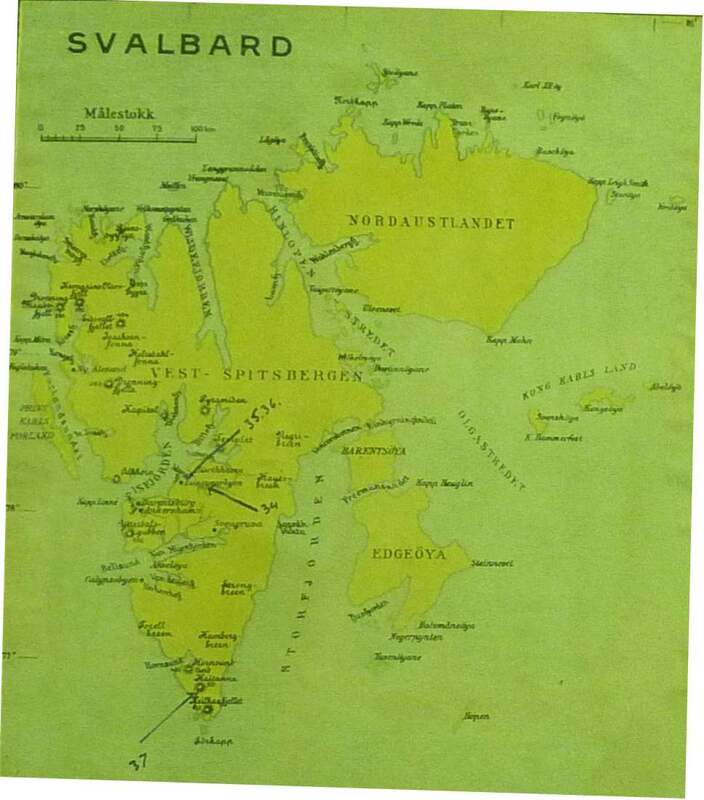 All information concerning Norway was in the future to be sent to 18 Section Esbjerg Denmark. 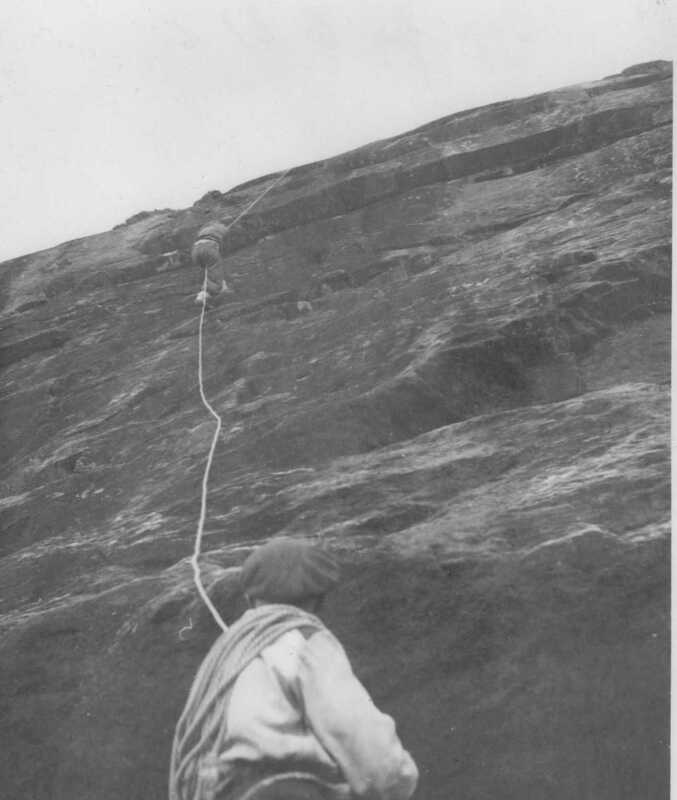 Shortly after Chick and I returned from Operation Polesearch, Norway was declared complete. I was destined for the American Zone of Occupied Germany. The close of the section saw a cabinet of 537 files involving 2,074 personnel. 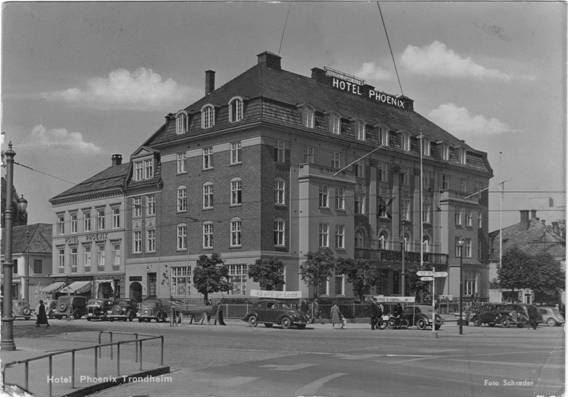 On 13–Sept–1946 the Unit HQ formally moved from Esbjerg to Uetersen Germany where re–forming would occur in preparation for movement to the American zone of Germany. 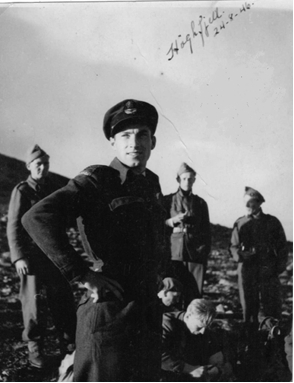 We (14 Section) arrived by road in Uetersen on 26–Sept–1946. Speaking now in hindsight I must say I was very satisfied with my assignment in Scandinavia – building up in tempo and difficulty to my time in the very northern reaches of Norway close to the Arctic Circle. I feel our team did the best job possible and we brought closure to many open files. Norway is rich and varied. Radiant days and midnight sun alternate with months of night and twilight, contrasts that can scarcely be found elsewhere on earth. Deep obscure forests surround bright sheets of water; majestic rivers hurry over mighty ledges to the sea; here ice–capped mountain peaks tower skyward; there innumerable herds of reindeer pasture in the grassy river valleys. Desolate at times but certainly majestic. 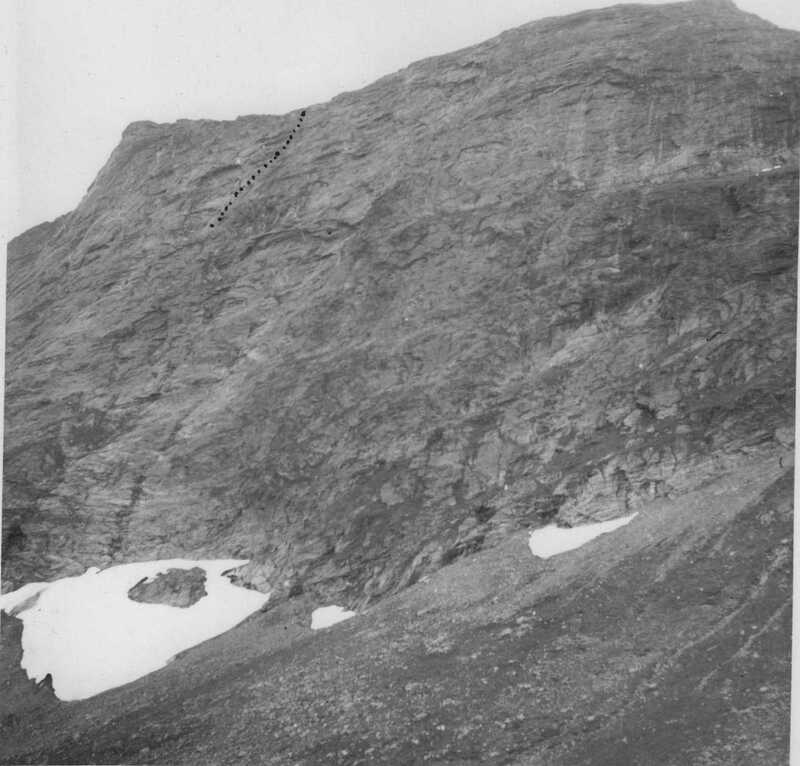 The Norwegian earth conceals all kinds of treasure, thus the inexhaustible iron mines at Gellivare are well known as among the richest in the world. 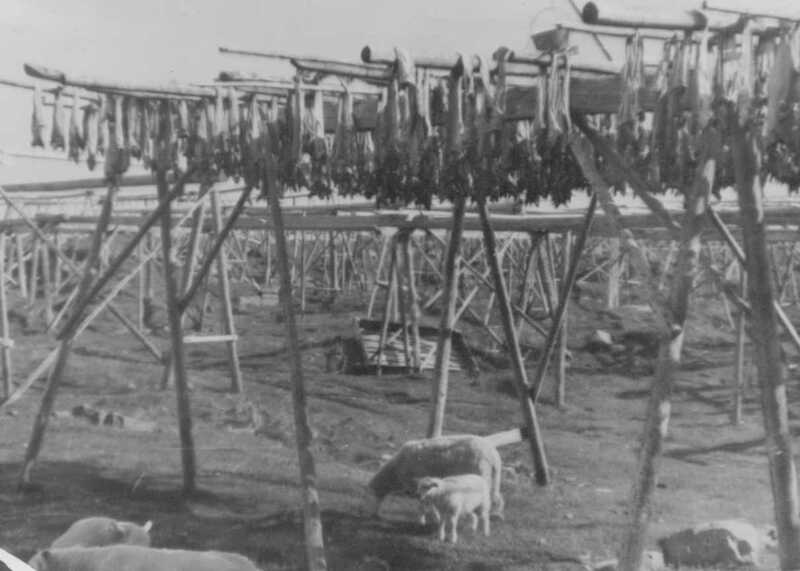 The indigenous hardy Lapp population – and their amazing good–hearted acceptance of subsistence living conditions – is certainly a sight to be seen and admired.